It generally takes a while for a River Tern bird to catch a fish and brings it back to feed its young. 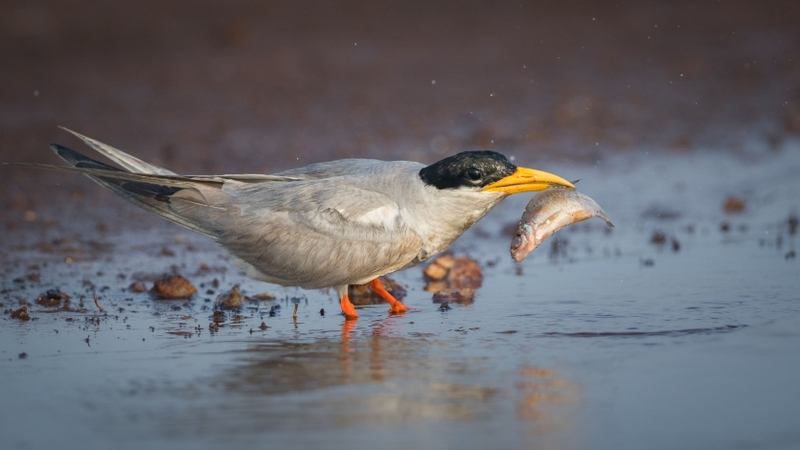 By the time the River Tern reaches its small island (in Bhadra Reservoir, Karnataka, India), the fish would completely dry-up. To make it easier for its young to swallow, the River Tern has a great technique to wash to remove all the dirt and in-effect wet the fish before feeding its young.